Tampa Bay&apos;s annual festival of all things anime opens its first-ever four-day event at the Tampa Convention Center. Lots of cosplay on the horizon. Day-trippers should skip the South Regional Parking Garage on Saturday -- it&apos;ll be closed for that little hockey game going on. You&apos;ll find plenty of other parking in the Fort Brooke parking garage, beneath the Selmon Expressway and on the streets of downtown. The series is tied 2-2 right now. Join thousands of your best friends in Thunder Alley outside Amalia Arena to watch our Tampa Bay Lightning take on the Chicago Blackhawks one more time. Of course, you could also buy a ticket and sit inside... There&apos;s also Ferg&apos;s Live! across the street for a seat and a drink! Chicago fans: There&apos;s plenty for you to do in town before and after the game. 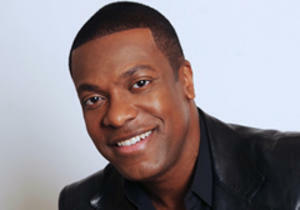 Actor and comedian Chris Tucker, best known for playing Detective James Carter in the "Rush Hour" film series, takes the stage at the Straz Center for the Performing Arts as part of his national stand-up comedy tour. 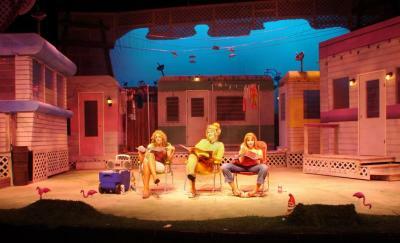 Also running at the Straz, is The Great American Trailer Park Musical, presented by mad Theatre of Tampa, 2014 broadwayworld.com winner for Best Community Theatre Company: There is a new tenant at Armadillo Acres - and she&apos;s wreaking havoc all over Florida&apos;s most exclusive trailer park. When Pippi, the stripper on the run, comes between the agoraphobic Jeannie and her tollbooth collector husband Norbert - the storms begin to brew! Bogey and Bacall star in this installment of the Tampa Theatre&apos;s Summer Classics series. Bogart plays Frank McCloud, who travels to the hotel on the eponymous Florida island to visit the widow and father of his dead war buddy. The hotel is closed for the season, but that doesn&apos;t stop a mob of gangsters from holing up there and holding the owners hostage while they wait out a hurricane. University of South Florida fim professor Harriet Deer will lead a short discussion immediately after the film.